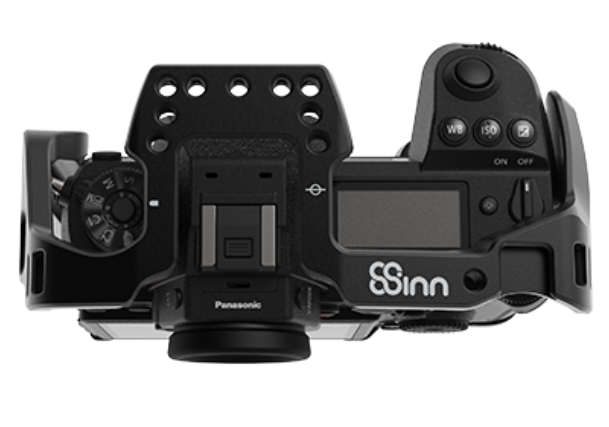 8Sinn has come up with arguable the world’s first camera cage for the Panasonic S1/S1R. 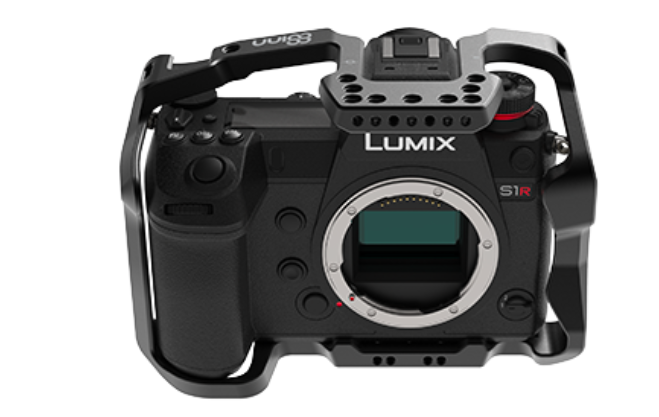 With the Panasonic S1 now shipping there s going to be a growing need for camera cages for those users who want to shoot video with the camera. 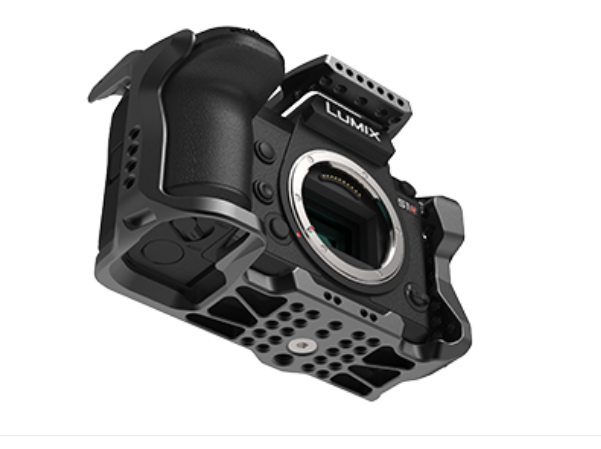 The cage for Panasonic Lumix S1 / S1R is similar in design to most other 8Sinn camera cages. 8Sinn has tried to design the cage so that it can be as lightweight and strong as possible. Like any camera cage, its purpose is to not only protect your camera but also to allow you to mount accessories. The cage is made from one piece of air aluminum. 8Sinn claims that this guarantees a firm and damage resistant structure. 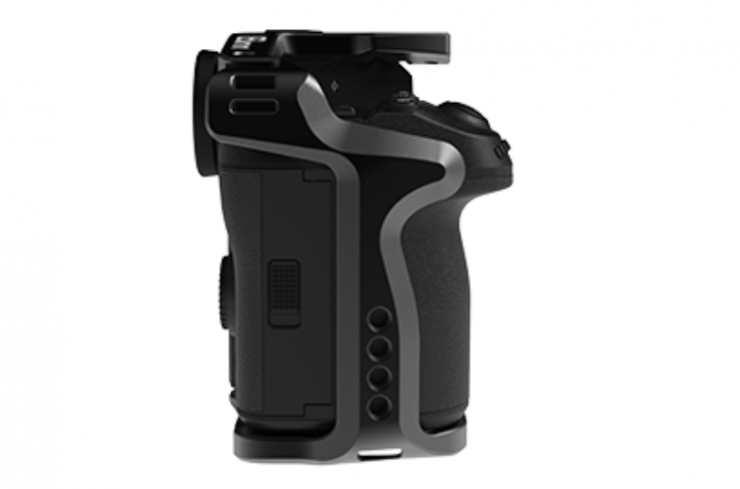 The upper section of the cage has been formed around the top of the camera in a way that allows the user easy access to the camera’s buttons and LCD screen. The cage also doesn’t obscure the battery compartment or the media card slot. 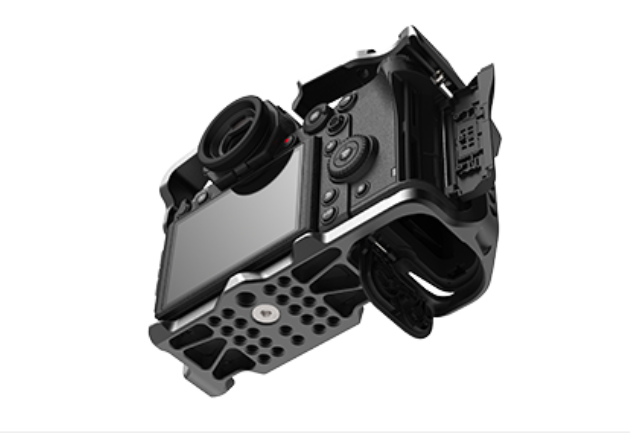 Standard 1/4″ mounting points are located all over the camera cage. A cold shoe mount has been placed on the right side for mounting additional accessories. 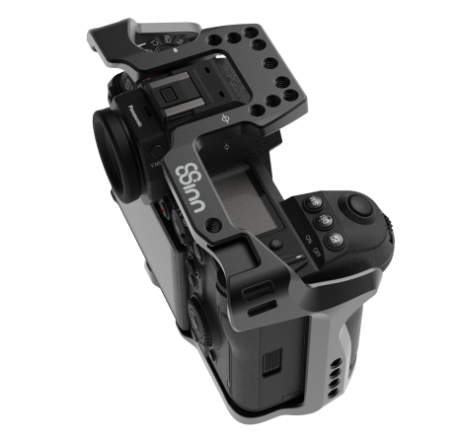 M4 mounting points placed on the upper-front edge of the cage can be used to mount the 8Sinn Top Handle Extension Adapter, which allows you to use the top handle and XLR audio adapter at the same time. 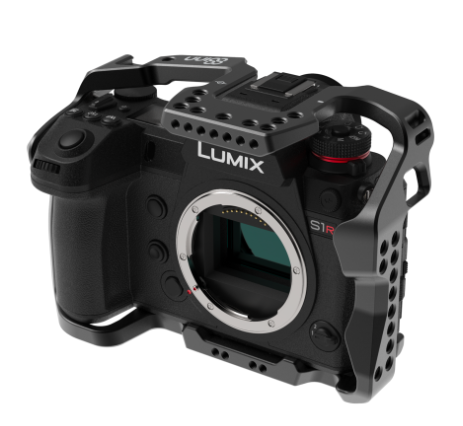 The 8Sinn Panasonic S1/S1R cage is now available to pre-order for $169 USD. 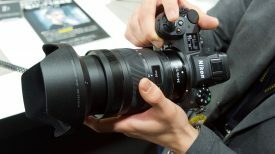 It is expected to start shipping in late May.